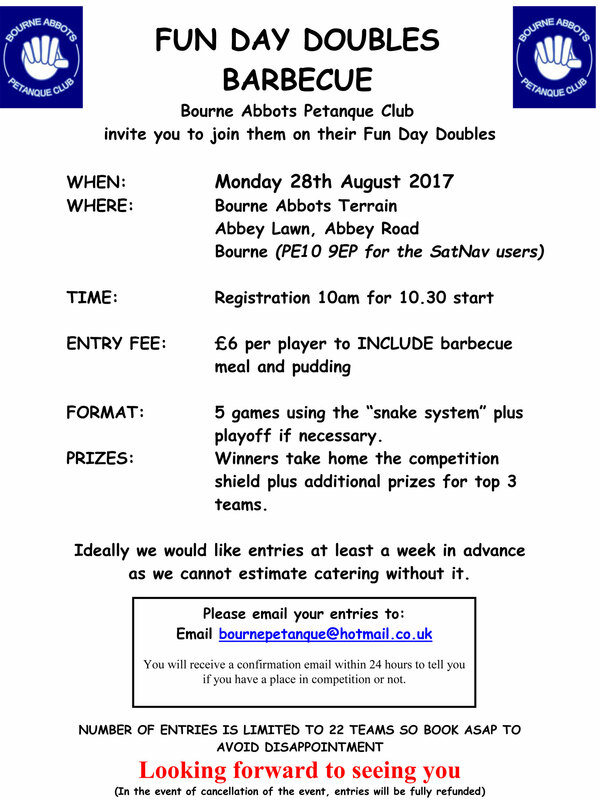 Bourne Abbots PC will be holding their annual Fun Day Doubles Competition on Monday 28th August 2017. 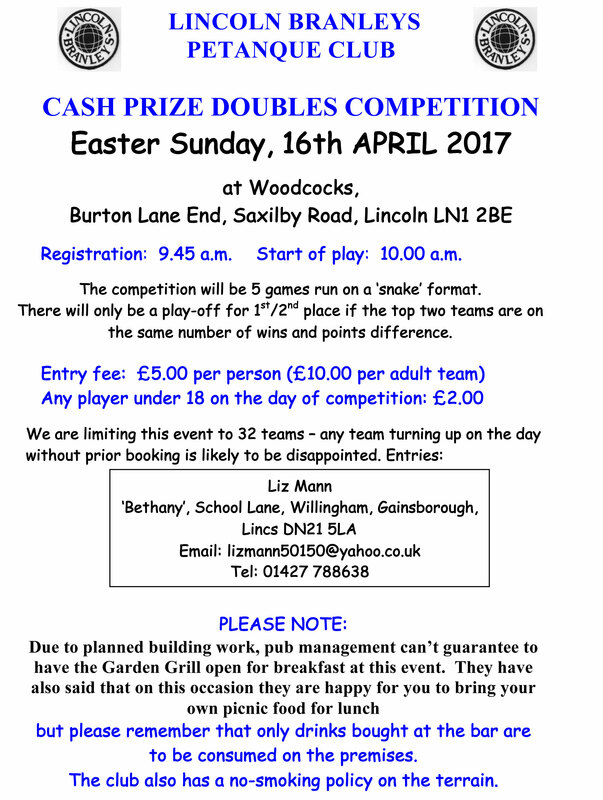 Please download the competition flyer and distribute to your club members. If you are considering entering any of Mercia’s regional competitions in July, please complete your entry forms and return them to Zena Forbes (See competition entry forms for Zena’s address). 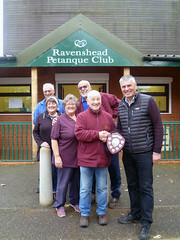 Entries close on the 3rd July for the Mercia shooting and singles competitions that are being held at Mansfield Petanque Club on the 9th July. 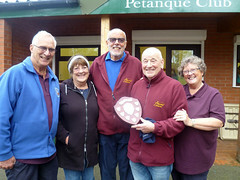 Entries close for the Mercia regional triples competition on the 17th July, the competition will be held at Rainworth Petanque Club on the 23rd July. 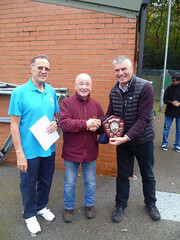 Please note: All competition entrants must be registered with Mercia Petanque Association and hold a valid EPA licence. 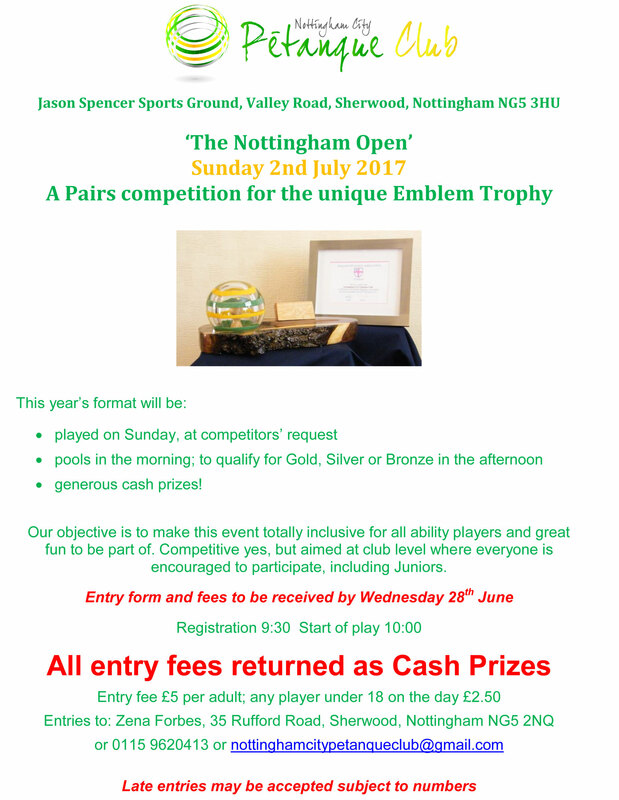 Please support Nottingham City PC by entering ‘The Nottingham Open’ doubles competition. The entry form can be printed by clicking on the link below. 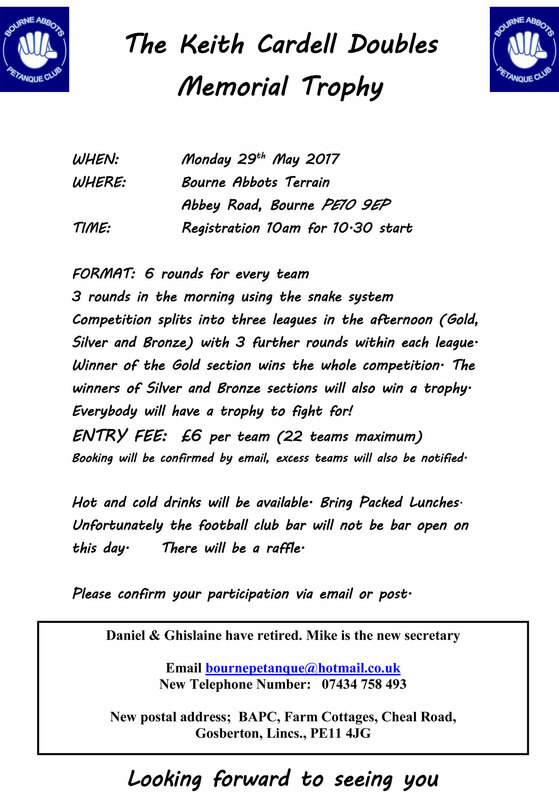 Please support our friends at Bourne Abbots PC by entering the Keith Cardell Doubles. Entry forms are now available for all Mercia regional events, please use the link below. The Mercia regional calendar has also been updated. A copy of both Mercia’s competition rules and code of conduct for 2016 are available via the following links.